The recent killing of 44 security personnel belonging to the Indian Central Reserve Police Force (CRPF) outside Srinagar has opened up a can of worms, and everyone should be bothered at this development. It’s not that this is the first time there has been an attack on Indian security forces in the valley, inflicting serious damage in terms of casualties. However, this attack is quite significant for the many issues it reveals, not necessarily for the lay person. The first and most important problem we need to confront is the attitude of the Indian state and its unofficial auxiliaries who have been occupying the proverbial centre stage ever since Narendra Modi became the head of the Indian government. There is also his pronounced policy of suppression and propaganda blitzkrieg, especially when it comes to the armed opposition to Indian state forces in the valley of Indian-occupied Kashmir (IoK). The auxiliaries include firebrands of his Bharatiya Janata Party (BJP) in the state, as well as the many other saffron outfits outside it who are mobilised to stoke riots, violent protests, lynching of vulnerable individuals (who invariably happen to be Muslim), as well as the extra-state pressure-building for Hindutva causes, such as the Ram Temple movement. All of this has contributed to an extreme kind of polarisation within Indian society as well as the worst sense of alienation among Kashmiris, owing to the aforementioned polarisation along with the role played by a cross-section of Indian media in fomenting the hatred and conveying an exclusivity to the Indian identity, restricting it to claims made by Hindutva ideologues. This has a glaring parallel to the Iraqi state that emerged after the dislodging of Saddam Hussein under the government of Nouri al-Maliki and his Islamic Dawa Party. Maliki did his best to marginalise the Iraqi minority groups – the Kurds and Arab Sunnis – under Iran’s influence, owing in part to the deep-seated friction between the Shia and the Sunni Iraqis. By pushing his majoritarian agenda, Maliki paved the way for the worst possible response from the Arab Sunni population in the country’s western region, which later snowballed into the phenomenon we know as the Islamic State (IS). That appears to be the blueprint for Modi’s government and party, as well as its many provincial governments and extra-state auxiliaries, which owe their allegiance to the parent organisation Rashtriya Swayamsevak Sangh (RSS). The resentment in IoK has been increasing by the day, with each incident helping the divide and alienation grow to a point of no return – not that India’s past governments had done any better. With an obscurantist Hindutva fringe ruling New Delhi and local elections widely viewed by the valley’s population as a foisting of no real choices, IoK no longer appears willing to be tagged to the idea of India, the way nationalist discourse has sought to stress since Jawaharlal Nehru’s time. 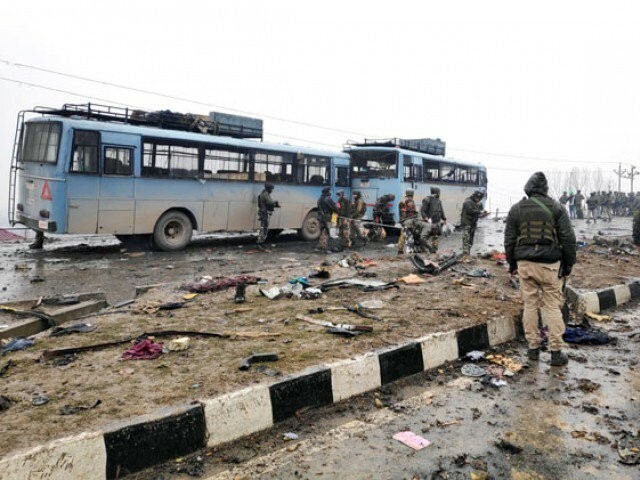 However, with the incident at Pulwama involving the killing of CRPF personnel through a suicide bombing, we are faced with the reality of Kashmiris’ disenchantment with India. Although there have been some suicide bombings in the valley, none have been as lethal and as symbolic of the grave situation emerging in IoK as this one. It is worth noting that the target in this incident is the CRPF, viewed by most Kashmiris as the arms and limbs of the Indian state’s security apparatus and alien to the valley. Not only are the soldiers of CRPF recruited from places outside IoK, they are culturally alien to the valley in the languages they speak and the backgrounds they come from, and hence we often get to hear of excesses by the CRPF against Kashmiris. It is thus no surprise that the CRPF is resented and despised as the face on the ground of Indian occupation. Adding to the problem is the poor training given to CRPF’s soldiers and officers alike, who not at all operate like a police force that could have built a rapport with the Kashmiris. The most troublesome aspect of this attack is the manner in which it was carried out, for it was a suicide bombing. This indicates the extreme desperation in the valley that now seeks to adopt this lethal and highly forceful manner of violence to target Indian security forces. This may challenge the Indian state’s strategy, for the topography and landscape of the valley and the density of its militarisation by Indian security forces leaves much scope for such attacks in the future, capable of escalating casualties and leaving the Indian state with no further room for manoeuvre. The Kashmiri discontent and disenchantment with the Indian state and especially the present mischief of the current establishment and its ideology, including its pernicious anti-Muslim rhetoric and policies, will only add fuel to the fire, besides its possibility of severely threatening India’s integrity in the years to come. The suicide bombing also indicates a growing radicalisation in the valley, aided and abetted by the extremist political discourse present in the valley for over the past two decades, much in the manner of the environmental factors that led to the growth of the IS as an outlet of Sunni angst against the Shia-dominated oppressive Iraqi state. And in the case of Kashmir, using force may not help the Indian state at all in the long haul. However, the first reactions immediately after this suicide bombing come not with a reflection on the disturbing nature of the behaviour of the Hindutva fringe, which is increasingly becoming mainstreamed in the media, the society, as well as in many Indian state institutions. Instead, Pakistan has promptly been held liable for this attack, without sharing information on its involvement or whether it took an expedited probe by the BJP government to arrive at this conclusion. Once again, this offers a parallel to the blame some narratives put on Saudi Arabia for the emergence and growth of IS in Iraq and Syria. Introspection, however, remains elusive as always.